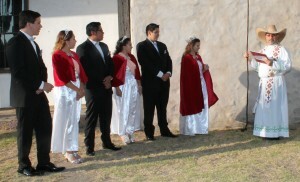 Father Tony Diaz was joined by the Royal Court: Queen Andrea Avalos, Princess Samantha Lozano, Princess Sarah Burrola and their escorts: Jacob Valadez, Eddie Santiago and Dennis Marciuska to ring the Mission Bells to welcome everyone to the Mission Fiesta on September 4th. 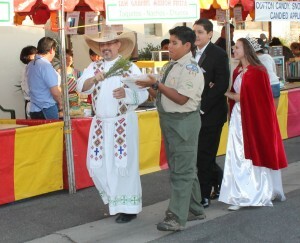 The Mission Fiesta is the parish’s largest fundraiser. 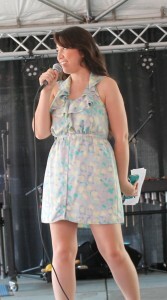 The event was held on September 4th, 5th and 6th in the school playground. 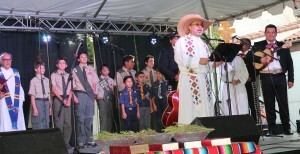 Father Tony welcomed the church members and their guests to the 2015 Fiesta. He asked God to bless us. 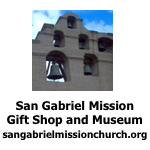 This is the 244th Anniversary of the San Gabriel Mission. 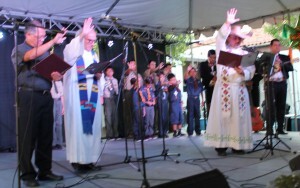 The blessings were offered in English, Spanish, Tagalog, Chinese and Vietnamese. Father Tony asked God to bless us and the volunteers for their help. It took six months of preparation. People gave their time to the community. 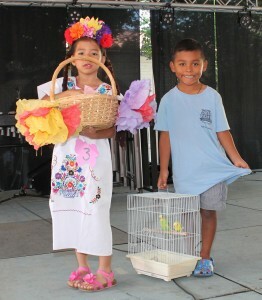 The 2015 Fiesta is a grand event for the parish. 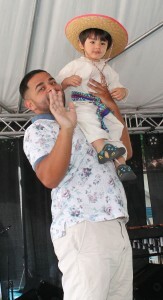 He asked God to bless all of the people who work and visit the fiesta. Members of the Royal Court shared the stage with members of Boy Scout Troop #261, parish volunteers, Father Val and Father Long. Father Tony, Father Val and Father Long blessed the water. They blessed the grounds and people gather at the event. Father Tony with members of the Royal Court walked around the area as he sprinkled holy water. 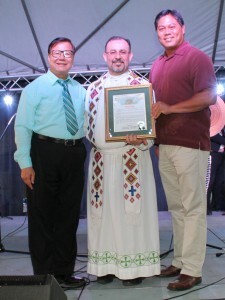 San Gabriel Mayor Jason Pu and Vice Mayor Chin Ho Liao presented a proclamation to Father Tony Diaz in honor of the 244th Anniversary of the Mission’s founding. 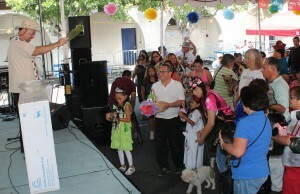 Mayor Pu welcomed the residents and guests to this event. He read the proclamation for the audience. Be safe and have fun! Vice Mayor Liao said he is honor to join in the Mission’s celebration. The city joins with the Mission to help the community. Father Tony said the Mission was established in 1771, five years before the United States was founded in 1776. This Mission is older than Los Angeles. 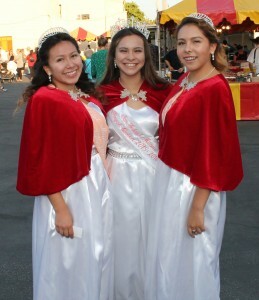 Princess Samantha Lozano, Queen Andrea Avalos and Princess Sarah Burrola were ready to greet their family members, friends and guests on the Fiesta grounds. 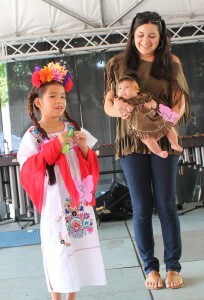 Members of the San Gabriel Mission Marimba Ensemble entertained the guest during the Children’s and Pet’s Costumes Contest held on September 5th. This musical group is available to entertain at your party. For more information please call Irene Marciuska at 626-393-5518, Efrain Ramirez at 626-478-8165 or the San Gabriel Mission Office at 626-457-3036. 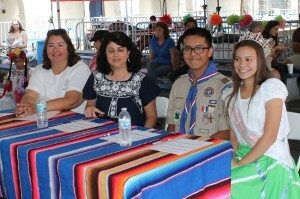 Terri Valadez, Denise Menahaca, Eagle Scout David Diaz and Queen Andrea Avalos were Judges for the contest. Diana was the Mistress of Ceremonies. 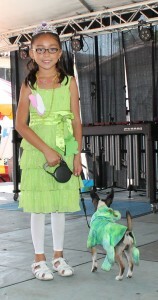 She is a member of the Youth Group and one of the many volunteers for this special event. Two young ladies participated in the Multi Cultural group. One young lady participated in the International group. One young lady participated in the Fantasy group. 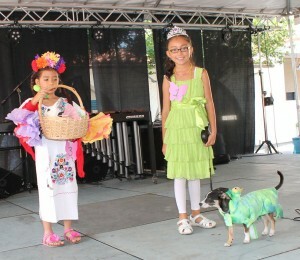 Two young ladies participated in the Most Creative group. One young boy participated in the Religious group. 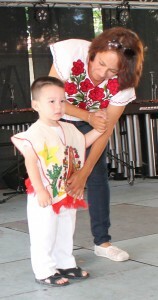 One young boys participated in the Multi Cultural group. One young boy participated in the International group. 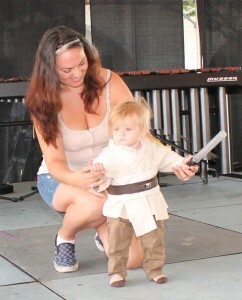 One young boy participated in the Fantasy group. One young boy participated in the Most Creative group. 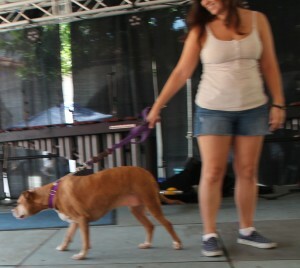 Two dogs participated in the Largest Pet group. Several pets participated in the Smallest Pet group. Several pets participated in the Most Unique group. 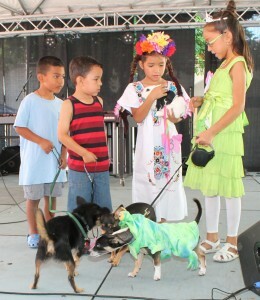 Several pets participated in the Most Creative group. 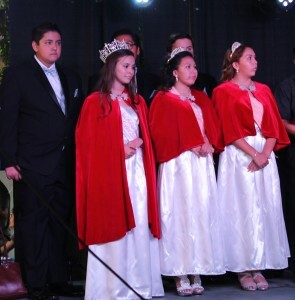 The Royal Court and their escorts joined with the children who were selected the winners of the Children’s Costume Contest: Noah Sanchez; Elijah Chavez; Teddy; Malcom; Fatima Chavez; Sebrina Lozano and Andrea Vargas. 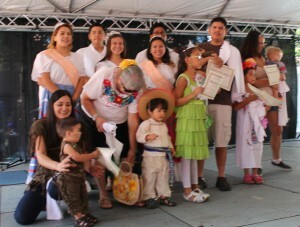 The winners received Mission Fiesta T-shirts and certificates. 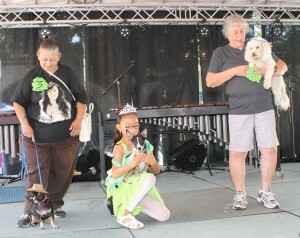 The Birds; Cotton, the rabbit; Nano and Scamper won the Pets Contest. 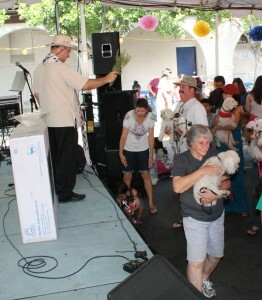 Their owners received a fish bowl, a dog cage and gift certificates for pet food donated by Super Pets and Pet Smart. Father Tony asked God to bless the animals. 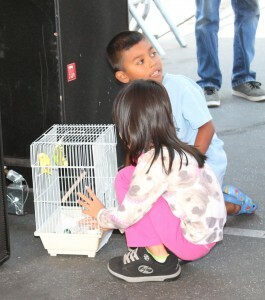 Today we have dogs, cats, a rabbit, an iguana, parrots and birds here to be blessed. He asked God to bless all of the creatures from the skies, earth and seas. They are our gift of salvation. God made them part of the convenient with Noah who saved them from the flood. We are the stewards of all living things. He asked God to bless the people and their pets. 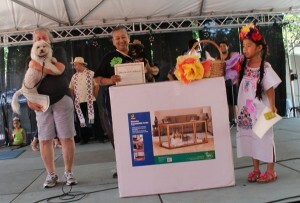 The three-day event featured information booths, carnival rides, game booths, Bingo, International food booths, Beer and Wine Garden, live entertainment and more.